Joseph Pilates was born in Germany in 1880, and suffered from rheumatic fever, asthma, and rickets. He overcame these physical obstacles by creating a system of exercise that has developed over time and spread around the world. How can Pilates help you? 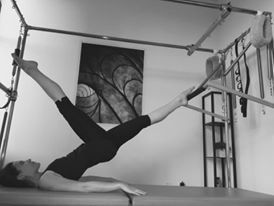 The practice of Pilates has so many benefits which include increasing core control, abdominal and overall body strength, improving mobility, flexibility, and coordination, renewing self-confidence, and spiritual rejuvenation. Pilates can improve your concentration, which is useful for everyone, and is especially important for athletes as they prepare for an event. A Pilates session may at times feel like a dance, as you flow through an exercise rhythm is integrated. Similar to Yoga, centering and the breath are of utmost importance. Anyone can practice Pilates for an enriched quality of life and an enhanced sense of well-being. 1). Whole Body Health - Pilates is not only a form of exercise, but like yoga, it is a lifestyle. The guiding principle of whole body health means that the mind, spirit, and body are working synergistically. Whole body health also refers to eating balanced meals, balancing work with recreation and relaxation, and taking time to breathe in fresh air and be outdoors. 2). Whole Body Commitment – is the discipline needed to achieve whole body health. Contact me at sniderhilary@gmail.com if you'd like to set up a private session, duet session, or join a small group class!